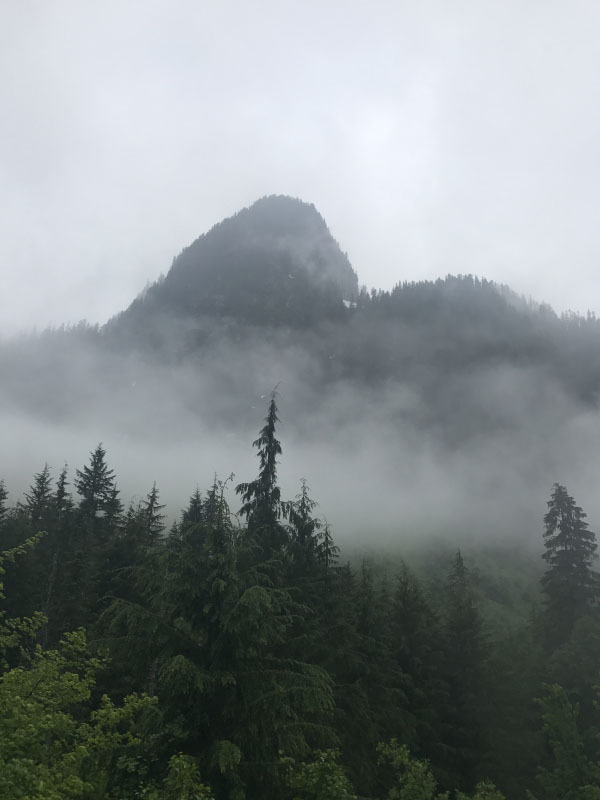 There is a time of year in the Seattle area known as Juneary, during which we experience January-like conditions (or at least what feels like it) in the middle of June. This week was that week – chilly, gray, rainy, and less than ideal, but not enough to keep me inside. When I don’t have a race coming up on the schedule and the balance of training stress and recovery is not as high of a priority, I enjoy weeks where I can just run or hike as feels good. Usually, I enjoy a weekly rest day even when not training, but this week I couldn’t pass up some form of daily miles. 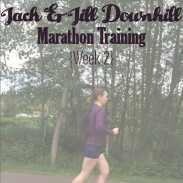 This week also kicked off Ryan’s first week of half marathon training, so I wanted to run with him on each of his runs. The surges were as much for me as they were for Ollie. I wanted to add some pickups into the run, both for a bit of variety and to tire Ollie out. He didn’t quite get why we would pick up the pack and slow down, so it took a while to get into a rhythm with him on this run. This run was cold and rainy: Ryan and I both finished with soaked clothes and Ollie’s coat oiled from the rain. But still, a rainy run is better than no run! I did a completely new strength training workout to focus on upper body strength. Chin-up holds are so challenging, it’s actually embarrassing. This run was a minor mess: Charlie had to stop to use the bathroom several times, which meant that between his stops and the light, our 35 minutes of running took over 40 minutes. My legs always feel weird with that many stops. I combined two workouts for my Pilates workout to focus on core, hip, and glutes. One of my favorite things about Pilatesology is the wide variety of videos, which makes it so easy to customize a workout. 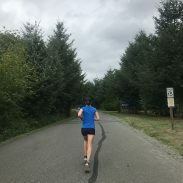 For Ryan’s first speed workout of half marathon training, I had him run one of my favorites: 3 sets of 1 minute hard, 1 minute easy, 1 minute hard, 1 minute easy, 2 minutes hard, 2 minutes easy. Our route was uphill on the way out, so the focus was on effort and doing the second half faster. We came across a downed tree blocking the trail and had to dart through parking lots to the sidewalk during some of the intervals, which is less than ideal, but Ryan still crushed his workout. He finished the final 2 minute interval several strides ahead of me and my watch clocked a 6:20/mile average pace for that interval. After yesterday’s fartlek run, Ryan and I took the dogs on an easy 4 mile run – fortunately, the dogs behaved better and we had very few stops. I scaled back Tuesday’s strength training workout for time, since we ended up strength training after work and I didn’t want to spend too long on a Friday night in the gym. We kicked off Ryan’s first week of half marathon training with an easy-paced 9 mile long run! We took the first few miles slow, as they were humid and hilly, but the second half was strong and we finished at an 8:14/mile pace for an average of 9:03/mile. Ryan and I saw Wonder Woman for the second time. We always see our favorite movies twice in theaters – such as Guardians of the Galaxy Vol. 2 most recently – and this one was even better the second time. Plus, there’s something so relaxing about a movie and a beer after the week’s longest run. 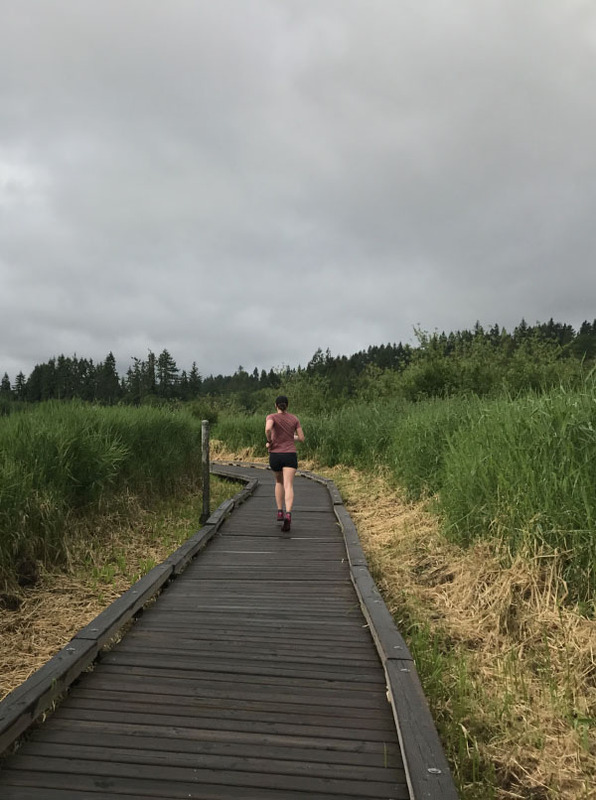 Sunday’s miles weren’t running – but honestly, hiking miles sometimes feel harder than running, probably because of being on my feet for so much longer. There is still snow in some regions, so we choose another flatter, longer hike. We hiked to Monte Cristo Ghost Town, which has some remnants from a mining village nestled in the mountains. The trail followed along a river with under 1000 feet of elevation gain, but the scenery and longer distance made the hike well worth while. One part of the hike featured a 50-foot water crossing on a felled tree, which was probably the trickest part of the whole hike. I actually had to crawl over part of it! Are you flexible on your rest days or do you rest the same day each week? Great week of getting out! My rest day is usually Friday. Friday’s and rest are the perfect fit for me. Thank you! Fridays do sound like a nice day to rest up between the week and weekend! I used to always make Sunday my rest day but thats changed lately. I feel like since there are some days that Im doing such a light workout I don’t necessarily need a full day off. You got in some great workouts this week! Thank you! I agree – when not training for something, there isn’t always a need for a full day off. It’s a nice change of pace! 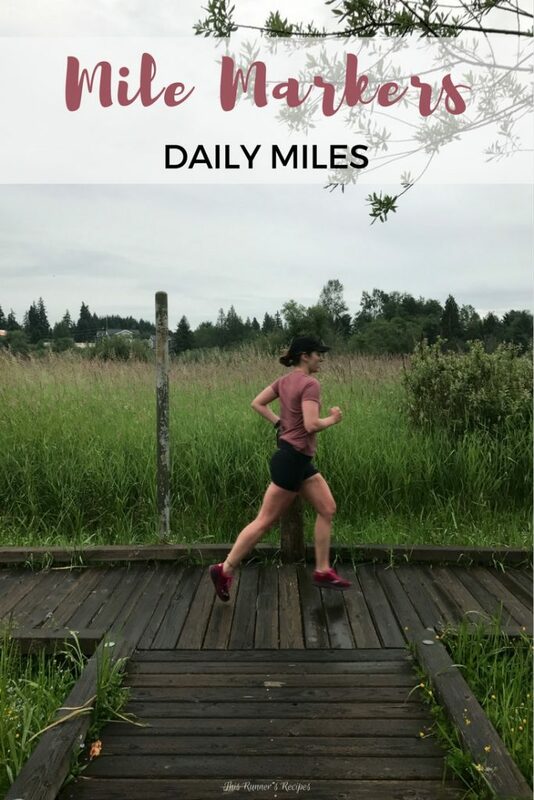 I did a similar fartlek type workout with 1 min hard, 1 min easy, 2 min hard…and there were some hills involved so I was cursing it at first but I finished feeling really strong – just like you guys did – so totally worth it! And now I know what I’m in for with all the stops and starts with the dog 🙂 She’s almost 6 months old so pretty soon I can start taking her to the trails for some short runs and run/walks. The hills make fartleks so hard! 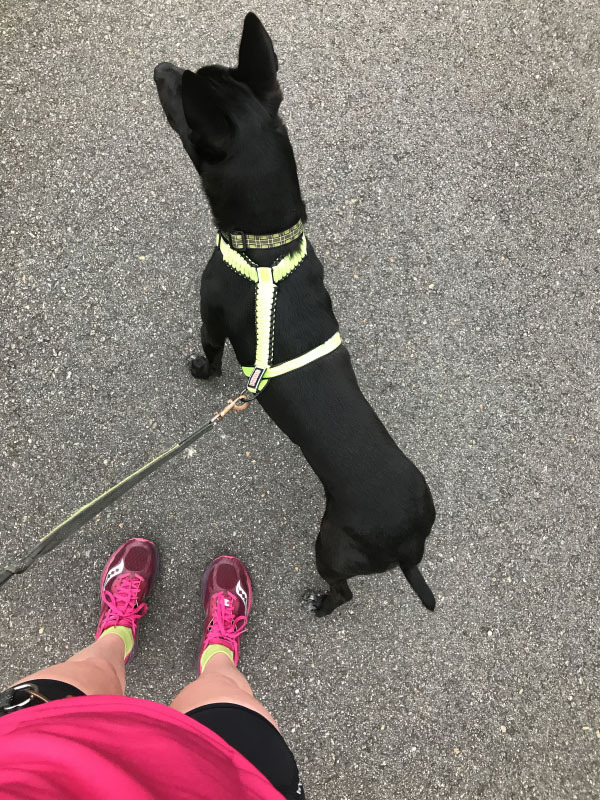 The starts and stops aren’t always so bad – I think Charlie has a hard time transitioning to running in warmer weather or when he’s gone a while without running as much, but once he’s back in shape he only stops a couple times. The hardest part about running with a dog is when they see a rabbit! And you need to see WW. My schedule is usually pretty regular, so rest days generally are the same–whether or not I am trying to do that! A consistent schedule is nice to have! I used to take my rest day the same day each week, but now I am switching things up and being flexible. 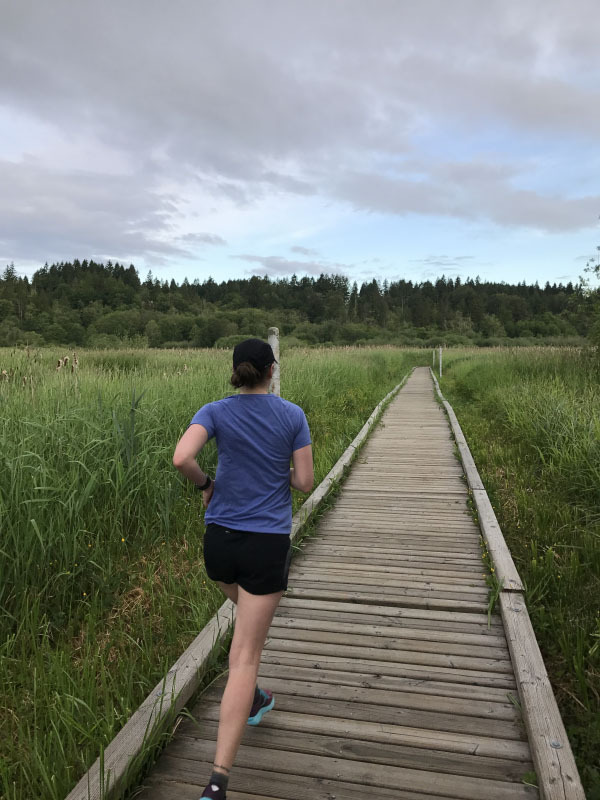 For my first few weeks of training I only run 4x per week, and it’s been nice to have the ability to rearrange workouts and rest days to accommodate for work days that are going to be longer and more stressful, or other things that come up. You guys seem to be having the exact opposite weather as us all the time. Last week was the farthest thing from January-like weather imaginable for us. Chilly would have been nice! It is nice to have flexibility in rest days! And we’re supposed to have a heat wave now, so maybe your weather will switch also? i never know when my rest day will be. I typically don’t run on sundays but a full rest day fluctuates based upon my schedule and how I feel. Same here! It’s nice to have that flexibility. I’ve heard such good things about Wonder Woman. I want to take my daughter to see it! I have to find someone to watch Callum for me though–I’ll have to figure something out. Juneuary–SO TRUE! It’s supposed to get sunny on Wednesday though and stay nice for a while. YAHOOO! It finally got sunny for us – I hope it did for you as well! Looks like a great week for a rest week. 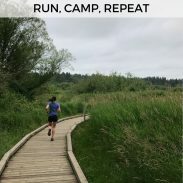 I’m with you on stopping during runs- if I stop, I just can’t get back into the routine of the run. Even if I stop for water, I start running as soon as I swallow the sip of water. No waiting around. I hate to say it but I probably don’t stop for water enough for this reason. With rest days… I go between Thurs/Fri just whichever one fits my schedule better for that week and how I feel after my Wednesday track workout. That’s why I have to carry water on me – I hate stopping for it also! Traffic lights are the worst for waiting also. I enjoyed our Juneuary last week – I prefer it to the heat we had the week before! My rest days are definitely flexible – I usually plan them week-to-week. I will say I do prefer it to the heat – but I just want to see some sunshine after such a dreary winter! My rest days rotate depending upon what days I work and how I am feeling. Some weeks my legs want to run but other weeks I need an extra rest day to recover. I love doing a 30 minute YouTube yoga session on my day off! Yoga is such a great activity on days off! I love that you guys get to run together! Nice work on the chin up holds… I’ve been working on pull ups once a week or so when I’m at the playground and it is always humbling! Pull-ups are probably the most humbling exercise there is! That’s awesome that you are working on yours as well.